Did you know that a back problem could be leading to a brain problem? 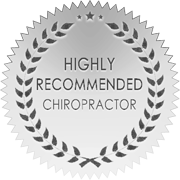 Our Colorado Springs Chiropractors can help decrease your back pain which in turn, leads to increased brain function. Read more below. Your nervous system is the most important system in your body! It is controlling everything from your lungs breathing to your food digesting, so it is no surprise that the nervous system is the only system in your body that is completely housed within bone for it's protection. Your spine is the vast majority of bone that protects your nervous system while your skull is the other part that protects it. Even though the spine is extremely strong, it can still have small misalignments that can have a great impact on the proper function and health of your body. When your spinal bones come out of proper alignment due to both small traumas and big traumas, those misaligned bones can put a lot of stress, irritation, and even pressure onto your nervous system. Dr. Roger Sperry, a nobel prize recipient stated that "90% of the stimulation and nutrition to the brain is generated by movement of the spine." These misalignments in the spine cause your spine to be unable to move properly which then reduces stimulation and nutrition to the brain. When your spine is not functioning optimally, your brain is not functioning optimally. Our Doctors specialize in locating and correcting those very misalignments that are putting stress, irritation, and pressure onto your nervous system. We use the most advanced technology to be as specific and precise with your health as possible. This helps our Doctors of True North Chiropractic to deliver a very specific, gentle, scientific adjustment to restore proper alignment and movement to your spine, thus restoring stimulation and nutrition to your brain. If you have further questions, do not hesitate to contact our Colorado Springs Team at True North Chiropractic today. Thank you! Our team will reply back to you at our earliest convenience!